Runaways: Ethan escapes from jail following a conviction for manslaughter. Years later, his son, Jake runs away from his father’s repeated physical abuse. Hunted by Ethan, Jake is accompanied by his dog, Hound, on his journey through the unfamiliar Appalachian Mountain’s of West Virginia. Subjected to freezing temperatures and near starvation, Jake’s only thought is to get away. But, God’s thoughts are higher than man’s and He has His own plan for each of their lives. Available on Amazon.com in paperback and kindle. Also available in audiobook format. Will’s Last Testament: Does Hell really exist? If so, who inhabits it? What is it like? Is there a means of escape? Will Hayes is a nice guy. A good husband. A devoted father. He volunteers in his community. He’s never had so much as a parking ticket. But, counter to the plans he and his wife, Brigit, had made for their lives, things take a turn for the worse. One obstacle after another block their path to happiness. When Will faces the biggest setback of his life, his daughter’s questions surrounding death prompt him to take a hard look at both his past and his future. 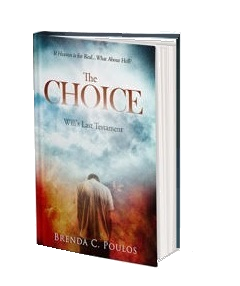 Will he choose to continue on his path, with only himself to answer to, or will he choose to surrender his future to the One he turned his back on at his own father’s deathbed…when he’d prayed for healing that hadn’t come. How Deep His Love- Available in Kindle only. Volume One, containing 60 reprints from my www.spiritualsnippets.com website. These inspirational stories will encourage readers to see life’s events in the light of God’s Word. If you ever thought the Bible had no direct application to our lives in today’s world, let these daily devotionals bring you peace and comfort that God listens and cares.